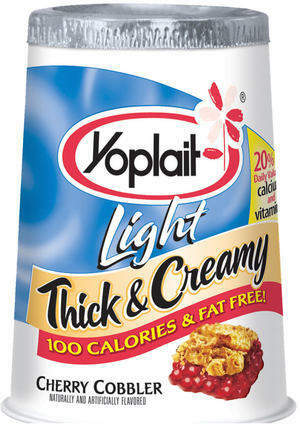 Yogurt is something I eat every single day. Whether it's for breakfast,snack or dessert. As I've said before I get bored very easily, whether it is with my hair, nailpolish or food, I need to change it up every so often before I do something drastic. 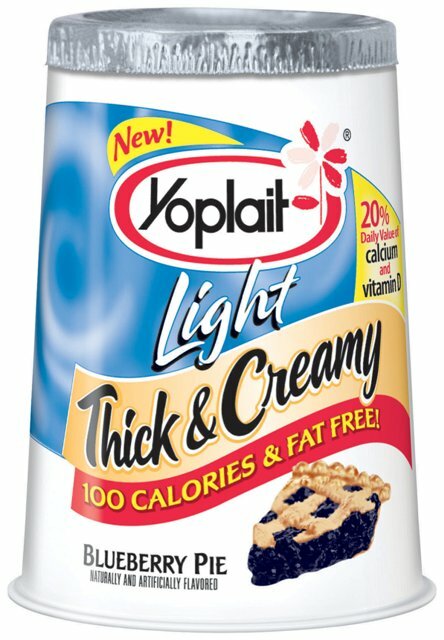 However with yogurt there are so many flavors I never get bored! 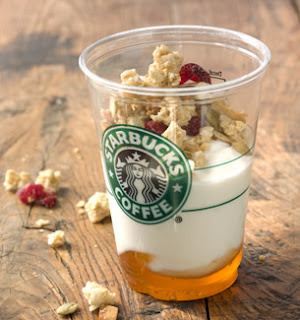 My favorite yogurt-y breakfast is the Greek Yogurt Honey Parfait. OMG it is so delicious! You know the commercials where the woman is on the phone saying all the weight she's lost by having boston cream pie and strawberry shortcake? 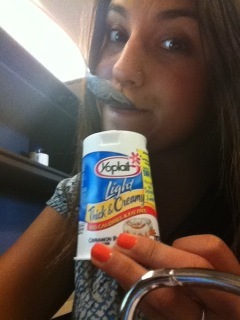 These are the yogurts she's eating. 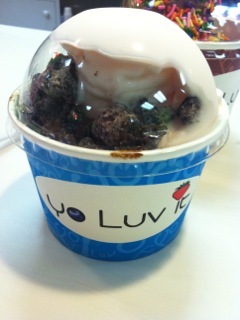 Last but certainly not least is frozen yogurt which I am beyond obsessed with currently. A new place has opened up down the block from us called "Yo Luv It," and they're right I DO. They have 4 flavors: Dark Chocolate, Strawberry,Italian Cheesecake and Vanilla. 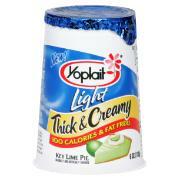 For 100 calories a serving I can have a tablespoon of each topping and not feel the least bit guilty.